Senior isolation is one of the biggest threats to the health of America’s seniors, while it remains among the most difficult to recognize. It’s a health risk not often discussed, but at least a quarter of seniors over 65 live with it. And its devastating effects can be felt physically, mentally and emotionally. Senior isolation is poised to become one of the most serious health issues faced by older Americans. Some 18 percent of adults age 65 and older in the U.S. live alone, and 43 percent report feeling lonely on a regular basis. And a feeling of loneliness can often the least of their worries. Isolated seniors may be cut off from certain benefits and resources for which they are eligible. For example, isolated older adults may be less likely to visit their local Social Security office to ensure they are receiving their proper benefits, or they may be less likely to reach out for participation in beneficial programs like Meals on Wheels. Isolated seniors may not receive proper medical attention in a timely manner, and a seemingly minor injury or illness can worsen without the necessary care. Studies have shown that isolated seniors have an increased risk of high blood pressure, depression, dementia, malnutrition and other harmful health issues. They are more likely to engage in risky behavior like tobacco use and are more vulnerable to elder abuse. Studies have even shown that loneliness and isolation carry a higher overall risk of mortality for both men and women age 52 and over. Making matters worse is how the sheer nature of isolation makes it more difficult for others to recognize, diagnose and take action. A person who reaches the age of 65 has a life expectancy of 20 additional years, which means that isolation has the potential to affect someone for years to come. As the Baby Boomer generation ages into retirement, a record number of Americans will be living in their golden years. The number of Americans age 65 and over is expected to double between 2012 and 2050, and the number of isolated seniors left at risk will increase just as dramatically. The following guide serves as a resource for helping to identify the signs and symptoms of senior isolation, understand why and how seniors end up alone and offer some ways for seniors to become more socially connected. There are a number of events and circumstances that can lead to a senior becoming isolated from others. Many seniors live far away from their siblings, adult children and other family, making it difficult to maintain consistent contact. Today’s seniors had fewer children than the generation before them, reducing or eliminating the possibility of living close to a grown child. The fertility rate hovered over 3.6 births per woman at the height of the Baby Boomer generation in 1960. But the fertility rate then sharply plummeted and stayed below 2.0 from 1973 until 1988, the childbearing years for many of today’s senior women. Spouses and friends begin to pass away as an adult ages, so their inner circle shrinks as they get older. Hobbies and interests are what often help an adult stay socially engaged with others. As people age, they may lose the ability to remain as physically or mentally active as they once were and can fall out of touch with activities they’ve enjoyed for years. Seniors may become less mobile as they age. They may stop driving and may not be able to walk long distances. A more stationary lifestyle then gives way to a more isolated one. The 21st century has seen somewhat of a breakdown of family relationships, and the Baby Boomer generation has been affected especially hard. In fact, the divorce rate for U.S. adults ages 50 and over has roughly doubled since the 1990’s. These splits are leaving many seniors living alone, further cut off from family members and increasingly isolated. The number of adults who never married has reached an all-time high, meaning more and more adults are entering their senior years without a companion at home. Cultural or generational barriers within a senior’s neighborhood or community at large can leave them feeling intimidated, unwelcome or reluctant to engage. Retirement communities are a terrific way for seniors to stave off isolation and build a strong social connection rich with resources. Retirement communities can be expensive, however, and are unaffordable for many older adults, particularly those who are living on a fixed income. Many seniors utilize the help of a caretaker. But while a caretaker can do laundry and fix a meal, they may not always be able to offer a meaningful relationship with deep conversation and connection. Although a senior may have daily visits from a caretaker, they can still be left feeling very much isolated and alone. Think about yourself and your elderly loved ones. How many of the above scenarios apply in your situation? Given the many obstacles older adults face, it’s easy to see how even a socially healthy senior can quickly and unexpectedly slip into isolation. Due largely to its nature, senior isolation is not easy to identify. After all, you’re less likely to have contact with an isolated senior. How can you recognize the symptoms of isolation in someone you do not have regular contact with? If you know of an older adult who seldom comes out of the house, they may very well be suffering from isolation. Beyond that, there are some signs and symptoms to be aware of. A person who begins skipping out on their usual social engagements or stops participating in their hobbies or interests may be starting to spiral into isolation. Isolation can lead to poor eating habits and a sedentary lifestyle, causing rapid changes in weight or appetite. Solitary seniors may begin sleeping too much, not enough or at odd hours of the day. Lethargic movement or speech is one of the signs of possible isolation. A person who does not get out often or host others in their home may neglect their personal care and hygiene, including the tidiness and maintenance of their home. By not socializing with the outside world and stimulating their mind, a person can slip into a cognitive decline. Studies have even suggested a link between isolation and increased risk of Alzheimer’s. 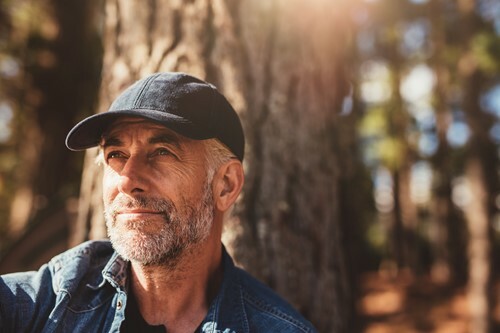 An older adult who uncharacteristically begins to indulge heavily in alcohol, tobacco or drug use may be coping with the effects of loneliness and isolation. A senior who is not as self-sufficient as they once were may express feeling of worthlessness, helplessness or being a burden to others. Becoming more socially active is one obvious solution to combating senior isolation. But what kind of options do seniors have, especially those who are far away from family? Volunteering is a great way for seniors to become socially engaged while also making a difference in the community. Walking dogs at the local animal shelter, serving meals at a soup kitchen or tutoring young schoolchildren are just some of the ways seniors can volunteer their time for a great cause. It’s common for community centers, colleges and libraries to offer low-cost and even free classes for older adults in interest areas such as cooking, writing, art and more. Seniors can meet new people, stimulate their mind and do something fun all at the same time. Today’s technology has made it easier than ever before to stay in touch with friends and family. Video-chatting services such as Skype allow older adults to carry out long-distance communication in a way that’s much more personable than a telephone call or a letter. Although many seniors remain digitally disconnected, a record number of older adults now own a smartphone and use it or another device to access the internet. The gym can be an intimidating place for older adults, but participating group exercise programs designed for seniors are one great way to feel more comfortable. 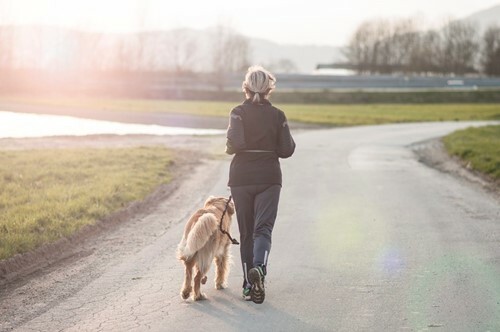 Not only can isolated seniors connect with other people of a similar age, but the exercise brings physical, mental and emotional benefits along with it. Bridge clubs, book clubs and knitting clubs are just some of the organized social clubs that many seniors take part in as a way of using a common interest to connect with peers. Why not socialize with others, have a sense of purpose and make a little spending money at the same time? Whether it’s shelving books at the library or taking tickets at the local sports stadium, a part-time job is a terrific way for older adults to stay active and involved. The internet serves as a portal for any type of hobby or interest. From bowling to coin collecting, there are a number of avenues to connect with others both online and in person. Pick up a new hobby or rediscover an old one, and you’ll open yourself up to a community of like-minded people. A pet can be a senior’s best friend and offer companionship that’s tough to match. One study showed that pet owners were 36 percent less likely to report a feeling of loneliness. A place of worship is not only a fantastic place to meet other people, but it can also offer opportunities to get involved in the community through charitable work. You can also count on churchgoers to typically be caring individuals who a senior can lean on in a time of need. 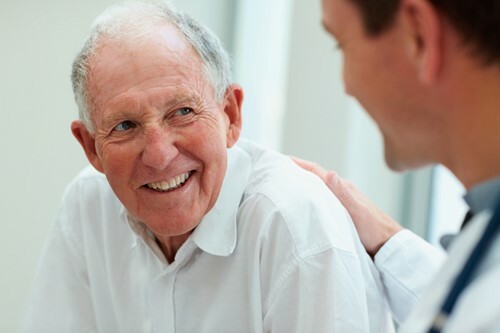 Many seniors begin to gradually withdraw socially when their hearing or vision begins to wane and they become self-conscious or frustrated in social situations. Having your hearing and vision tested and getting hearing aids or glasses can greatly improve one’s confidence and ability to socialize. With a large number of seniors living together and a wide range of activities to engage in, it’s much more difficult to remain isolated in a senior living community. If it’s financially manageable, moving into one of these communities can be a great way to come out of isolation. Senior isolation is a threat faced by millions of older American adults. There are a great number of helpful resources, however. Below is a list of organizations dedicated to helping isolated seniors connect with others, travel, eat healthy foods, exercise and more. ITNAmerica provides local transportation resources for seniors who want to maintain an active and mobile lifestyle. GoGoGrandparent allows seniors to utilize rideshare apps such as Lyft or Uber without the use of a smartphone. Text alerts can also be set up to help families stay in the loop with their loved ones. People of all ages can use Meetup to find groups and communities of similar people and join in fun activities. Connect2Affect offers a number of resources and informational articles that can be useful for people who are at risk of becoming isolated and disconnected. Seniors can customize weekly meal plans and have fresh-cooked meals delivered to their home each week. Senior Complete Meals from Magic Kitchen are curated by a dietician with senior health in mind. Meals are limited in sodium and include a main course and either one or two side dishes. With Shipt, seniors can shop online for groceries and have them delivered to their door as early as the same day. Instacart connects customers with Personal Shoppers who can buy and deliver your groceries in as little as an hour. Area Agencies on Aging help older adults and those who care for them by providing information on nearby support programs and services. The National Institute on Aging leads a scientific research effort to better understand the process of aging and provides resources that can help people extend the active period of their lives. The NAAA is a membership association that lobbies congress on behalf of Area Agencies on Aging (AAAs) across the U.S. and works to drive excellence in a number of support service programs for older adults. This AARP site provides visitors with local information on news, events and programs that affect retirement and the lives of older adults. This site provides resources for older adults and their caregivers, as well as information for professionals and advocates who work with or on behalf of older adults. Eldercare Locator links older Americans and their caregivers with local resources and serivces they can trust. Through this organization, seniors age 55 and older volunteer to provide friendship and assistance to adults who may have difficulty completing daily tasks such as paying bills or shopping. This site can help older adults by making them more aware of the home-based and community-based services they can access to make independent living a possibility. SeniorNet helps older Americans learn how to better use computer technology so that they can stay connected and live more enhanced lives. Lifeline provides a discount on phone service so that qualifying low-income users can stay connected to family and emergency services. A CaptionCall phone features an easy-to-read large screen that displays written captions of what your callers are saying. Points of Light helps connect and mobilize millions of volunteers around the world with opportunities to give back to their community through local service initiatives. 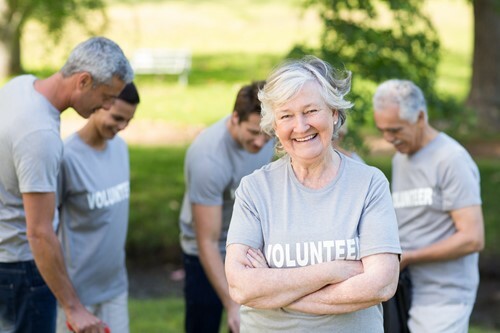 This national organization provides a platform for adults age 55 and older to volunteer and make a positive impact in their own community, sharing their wisdom and life experience. RetiredBrains helps adults find both local and international community service opportunities, including resources for volunteering with a number of different types of organizations. Volunteers of America provides a number of support services for older adults, including affordable housing and meal programs. They also help seniors remain active in community service through their Senior Service Corps programs.